Gov. Pat Quinn on Friday helped break ground on a transportation hub in downtown Joliet that he says will create jobs, improve safety and serve as a catalyst for the state economy. The $42 million project will overhaul the rail center. Quinn's office calls it a "key stop'' on the Chicago-to-St. Louis high-speed rail line. 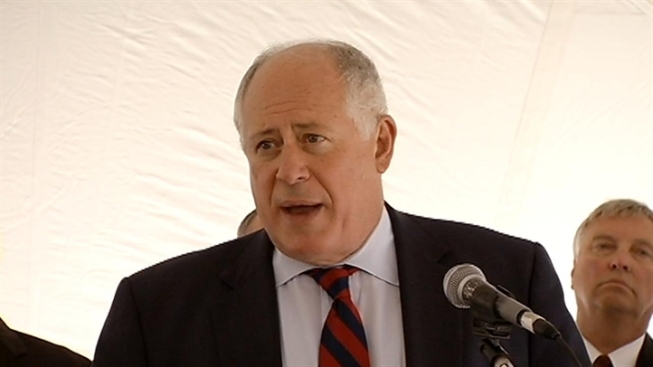 "This new transportation station will create jobs and economic development in Joliet while providing an alternative to driving and high gas prices," Quinn said in a written statement. "Once this project is completed, we’ll have better transportation in Joliet and safer, more reliable and convenient service for travelers." The first phase of the project started Friday and includes construction of a 400-space parking lot. Joliet's historic, century-old Union Station will be preserved and incorporated into the design of the new station's campus. Quinn said he expects the project to create nearly 400 construction jobs. The center is slated to be finished by 2015.